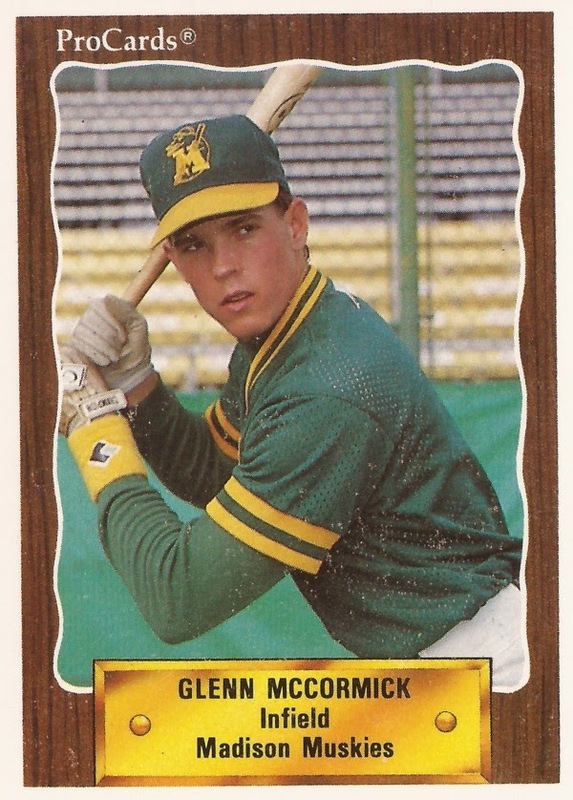 Glenn McCormick gave his team a late lead in this August 1990 game and he did it on a home run, according to The Bend Bulletin. McCormick came up in a tie game with one man on. He then gave his team a 5-3 lead on his third home run of the year, The Bulletin wrote. Despite the lead, McCormick's Bend Bucks couldn't get the win. Despite the home run, McCormack couldn't get himself another professional season. He only played in two. McCormick's career began in 1988, signed late the previous year by the Athletics as a free agent out of his native Connecticut. He played his first season in the rookie Arizona League. He hit .223 in 45 games. He knocked in 19 runs and stole five bases. He then isn't credited as playing at all in 1989. He returned with the Athletics for 1990 and was assigned to single-A Madison. He got into 19 games there, hitting just .163. McCormick played the rest of the year at short-season Bend. In late July, McCormick was taking part in early words just before a brawl. He stayed in the game to hit a two-run double, The Bulletin wrote. He also had an early September two-run single. Overall, McCormick got into 72 games for Bend that year. He hit .239, with three home runs. It was his final season as a pro.